St. Patrick’s Day, named for Ireland’s patron saint, is celebrated around the world on March 17 with parades and other festivities. 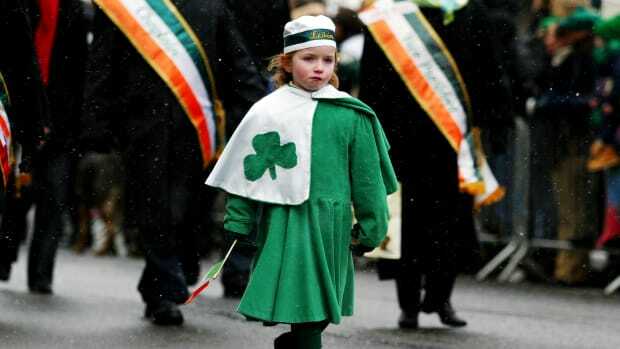 The earliest parade was held in the 1760s in New York City by Irishmen serving there in the British military. During the 1800s, when Irish Catholic immigrants faced discrimination in Protestant-majority America, St. Paddy’s Day parades became an opportunity to show strength in numbers. Today, cities across the U.S. have longstanding traditions of St. Patrick’s Day parades, and the holiday is commemorated by people of many ethnic backgrounds. 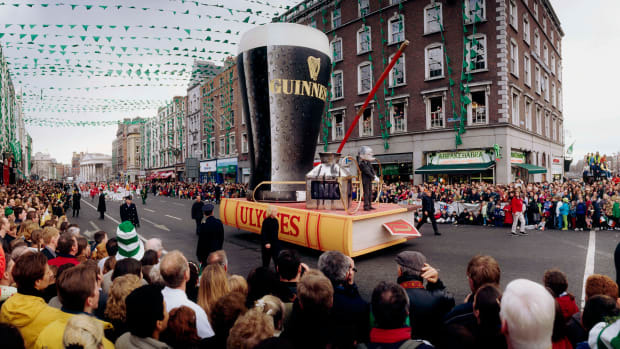 However, in Ireland, where St. Patrick’s Day has been a religious feast day since the 17th century and a public holiday since 1903, it wasn’t until the late 20th century that the government started sponsoring a large-scale, international festival and parade in Dublin, the capital city. 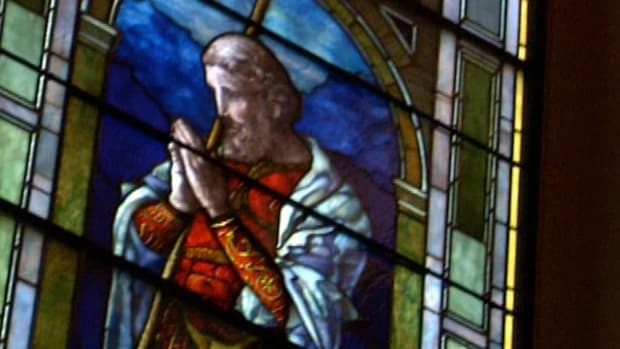 The first St. Patrick’s Day celebration in America took place in Boston in 1737, when a group of Irish Protestants gathered to honor their homeland’s saint, a 5th century Christian missionary who died on March 17, 461, according to some claims. In the 1760s, when America still consisted of 13 British colonies, a group of Irishmen serving in the British army in New York City started the tradition of parading on St. Patrick’s Day. In the 1800s, Irish fraternal and charitable societies in New York sponsored their own parades in various parts of the city before merging these individual events into a larger parade. 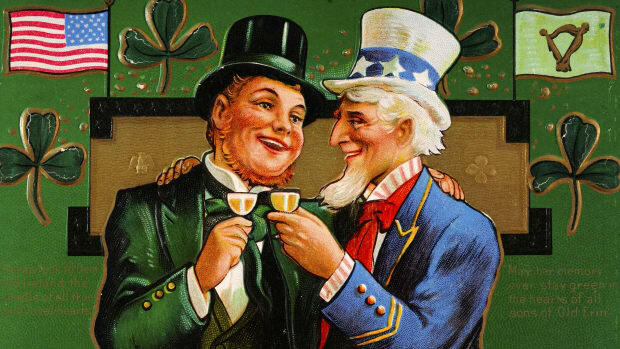 As Irish Catholic immigrants came to the U.S. in increasing numbers in the 19th century (from 1820 to 1860, more than a third of all immigrants who arrived on American shores were Irish), they encountered prejudice and discrimination. In the 1840s and 1850s, the Know-Nothing movement promoted a nativist, anti-Catholic agenda. (When those involved in the movement were questioned about their activities, they were supposed to say, “I know nothing,” which is where the name came from.) Against this backdrop, St. Patrick’s Day parades in New York and other U.S. cities became a chance for the Irish to show strength in numbers as well as pride for their cultural heritage. 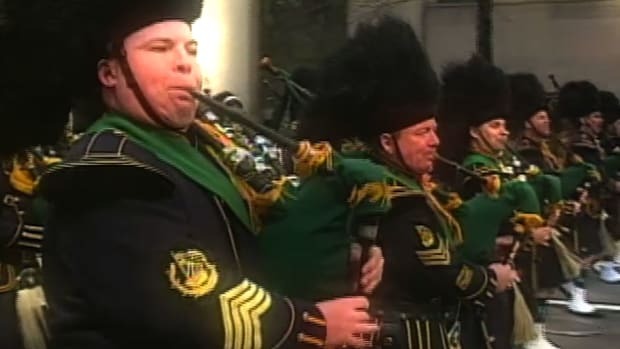 Today the parade, which travels 1.5 miles up Fifth Avenue in Manhattan, is billed as the world’s oldest and largest St. Patrick’s Day parade. Among the approximately 150,000 marchers are politicians, school children, bands, bagpipers, police, firefighters and other municipal workers. In accordance with tradition, a green line is painted along Fifth Avenue to mark the parade route, and floats and cars are banned from the procession. Since the 1850s, the parade has been led by the 69th Infantry Regiment. Formed as a militia unit composed of Irish Catholic immigrants, the 69th Infantry started heading up the procession in order to protect marchers from potential violence by those who disliked the Irish. The biggest St. Patrick’s Day parade in New York took place in 2002, with an estimated 300,000 marchers and 3 million spectators. The entire parade paused for a moment of silence to honor the victims of the 9/11 terrorist attacks, which had devastated the nation six months earlier. 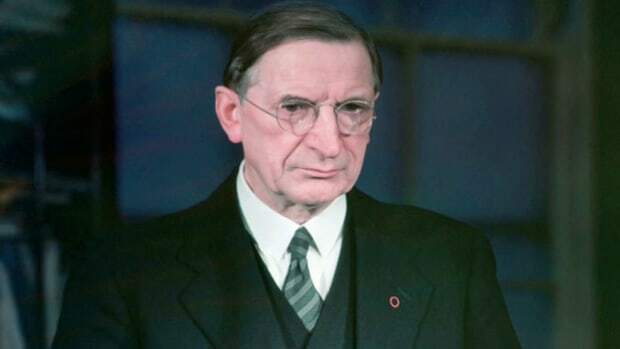 In 2016, the parade was shown on live TV for the first time in Ireland and Great Britain. According to the U.S. Census Bureau, 32.7 million Americans, or one-in-ten, identified themselves as being of Irish ancestry, making it the second-largest ancestry group in the U.S. after Germans. 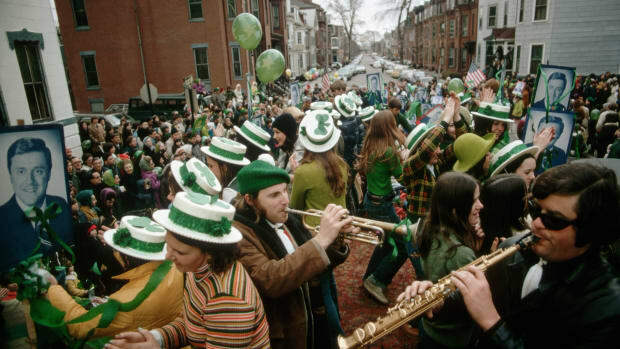 Boston, a city with a large population of Irish Americans, has officially held a St. Paddy’s Day parade since 1862. Philadelphia traces its tradition of parades to 1771. Savannah, Georgia, has been hosting a parade since the early 1800s, and today it’s one of the largest in the country. Chicago has three processions—the South Side Irish Parade, the Northwest Side Irish Parade and, since 1956, a big parade downtown. 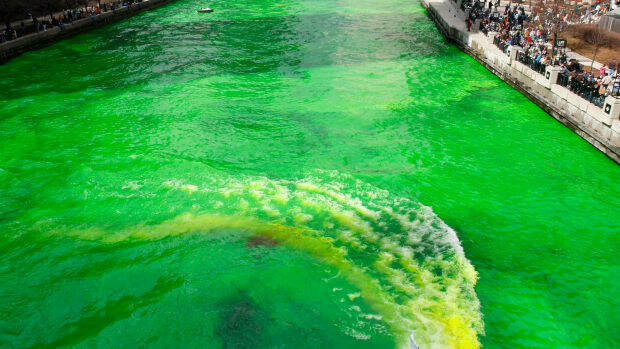 The now-famous Windy City tradition of dyeing a section of the Chicago River green in honor of the holiday started in the early 1960s. 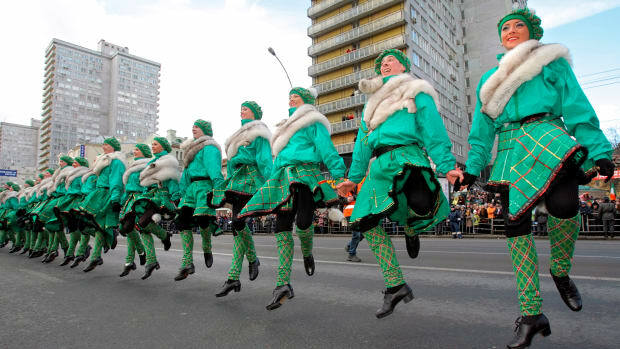 Since 2004, Hot Springs, Arkansas, has been home to what’s labelled the world’s shortest St. Patrick’s Day parade. It covers a distance of 98 feet and draws some 30,000 spectators. Additionally, there are more than a dozen communities in the U.S. named Dublin. Those that hold parades include Dublin, California, and Dublin, Ohio. 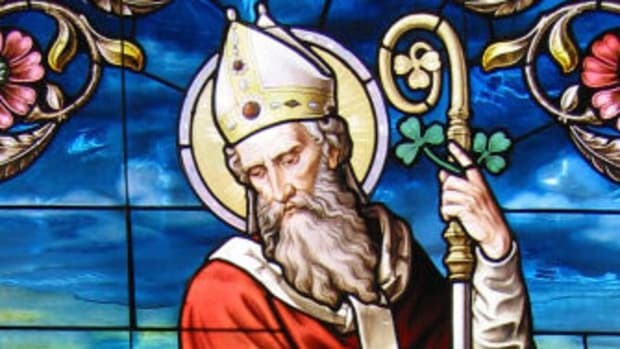 A religious feast day in Ireland since the 17th century, St. Patrick’s Day became a national holiday in 1903. Low-key observances were typical into the 20th century, and until the 1970s many pubs were closed for the day. (Before the pub rules changed, the Royal Dublin Dog Show, which fell on St. Patrick’s Day, was a popular destination for dog lovers and non-dog lovers alike because it was the only place in the city where alcohol was sold legally). On the island of Montserrat in the British West Indies, St. Patrick’s Day is a public holiday that’s celebrated with a weeklong festival and parade. The island was colonized by Irish Catholics in the 17th century and early generations of European settlers were Irish. Nicknamed the Emerald Isle of the Caribbean, Montserrat’s official passport stamp is a green shamrock. 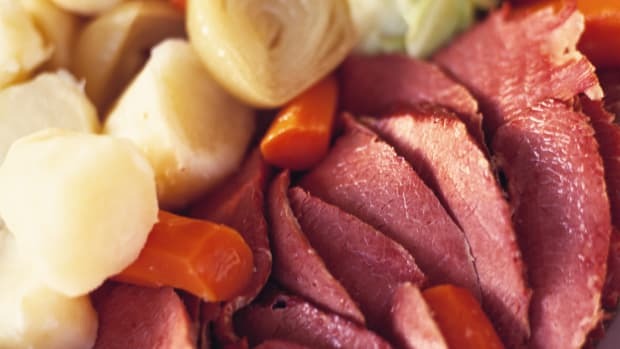 Among the many other locations where St. Paddy’s Day now is observed, the Canadian city of Montreal is the site of a large annual parade that’s been held continuously since 1824. There’s been a parade in Tokyo, Japan, since 1992, and one in Oslo, Norway, since 2000. Auckland, New Zealand, has had a parade and festival since 1995. People there can get a jump on the majority of the planet when it comes to celebrating St. Patrick’s Day, as Auckland is 13 hours ahead of Dublin and 17 hours ahead of New York City.